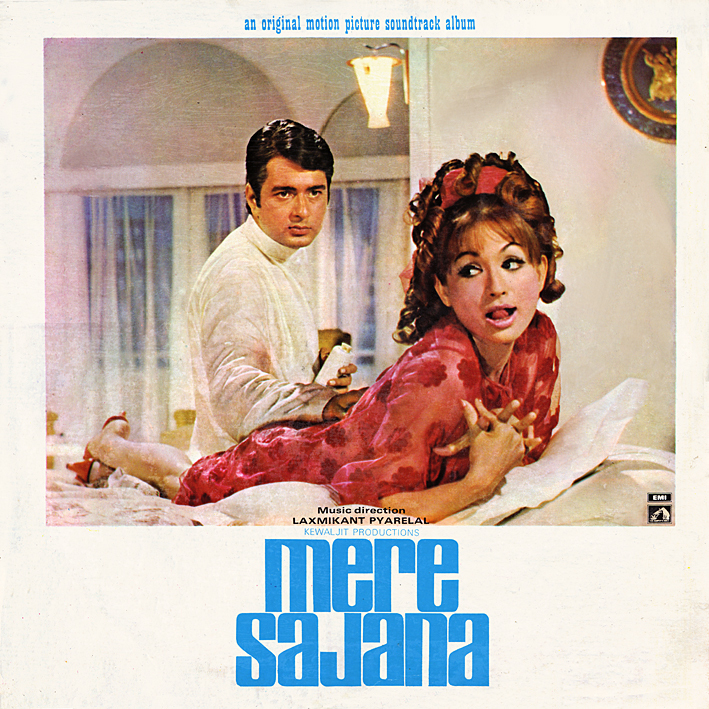 A comparatively unsung Laxmikant Pyarelal score; I don't think 'Mere Sajana' was on anyone's radar when I first started buying Bollywood vinyl. For me, the highlight on a Hindi soundtrack will often be the Asha Bhosle-sung (and Helen-performed on screen) nightclub number, but not so here. 'Tumhari Aankh Se Joda' is OK, and certainly nice to look at, but somewhat unremarkable. Instead it's Lata Mangeshkar's songs that stand out; 'Ye Kaun Hansa' with its lovely melody, rollicking beat and her slightly maniacal giggling being my favourite. 'Pani Ki Boond' and 'Mere Sajana Teri' are both good too, the first upbeat and playful, the second slower; trippy almost. And then there's Kishore Kumar's contribution 'Main Ne Kuchh Khoya Hai' with it's quirky rhythm and luscious instrumental details... all in all this is an excellent album. Great soundtrack! Have not heard these songs for a long time ... last time must have been on an old reel-to-reel recording back when I was a lot younger! :-) Thanks PC for bringing back some long forgotten gems. Thanks P C, really a rare & unsung score of Laxmi Pyare, the song "Kaun Hansa" was a path breaking song of its time, very unique and quite amazing rendering by Lata Mangeshkar, other songs are also good. I could not ask more from you as you have overwhelmed me by sharing this great album. Hats off to you. Thanks for this rare LP album. Please upload one more of LP - Amir Garib(1974) if available. I sometimes get the feeling people think this is a public service I'm running here... No, I don't have it. Just finished listening this one. Great & somewhat rare album. Another great thing is one can find dialogues in most of the songs on LPs & not CDs. The movie is on yt. Thanks.. Most amazing thing with this blog of PC you can never predict what he will provide/share in the near future, my be it is his style or way to share but let us leave this matter and wait for another stuff from PC,. Amit Bro. I have vinyl of "Amir Garib" if you need I would give you privately.